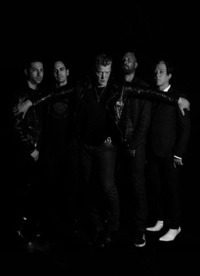 Produced by Mark Ronson and co-produced by Mark Rankin and mixed by Alan Moulder, Villains is the first full album offering from Queens Of The Stone Age since 2013’s …Like Clockwork gave the band its first #1 album in the U.S. (and #1s in Australia, Belgium, Ireland, Portugal, Scotland, #2s in the UK, Canada, Switzerland, Norway, New Zealand, Finland… but really, who’s counting?). Like the stunning artwork of returning illustrator Boneface, the sonic signatures of the lineup that took …Like Clockwork around the world and back—Founder/guitarist/vocalist/lyricist Joshua Homme, Troy Van Leeuwen (guitar, keys), Michael Shuman (bass), Dean Fertita (keys, guitar), Jon Theodore (drums)—are as unmistakable as ever, though coexisting with sufficient new twists to induce recurring double takes. As Homme himself puts it, “The most important aspect of making this record was redefining our sound, asking and answering the question 'what do we sound like now?' If you can’t make a great first record, you should just stop—but if you can make a great record but you keep making records and your sound doesn’t evolve, you become a parody of that original sound."